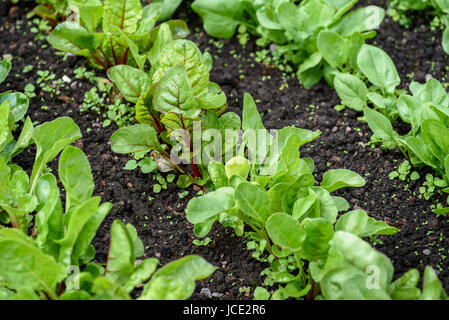 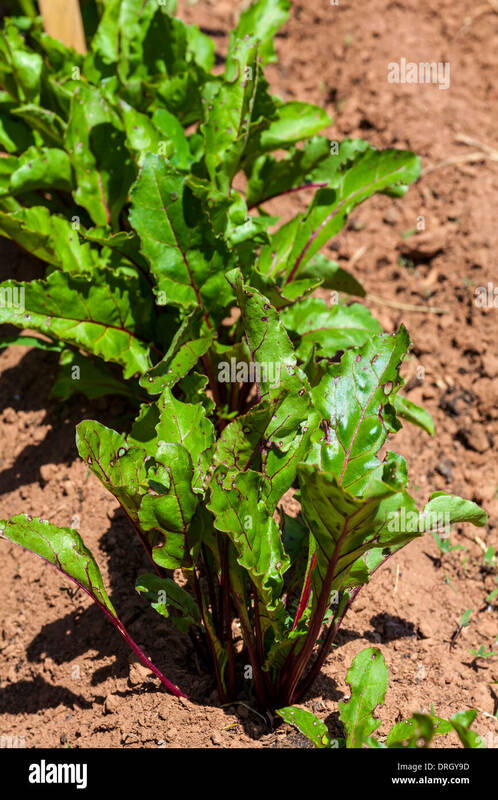 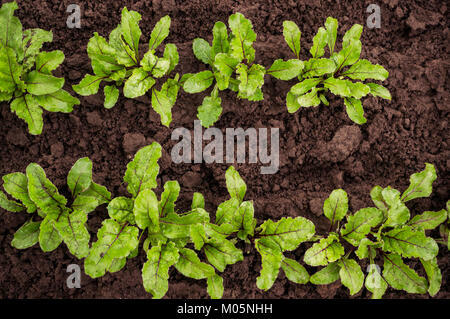 Young beetroot seedlings growing in rows. 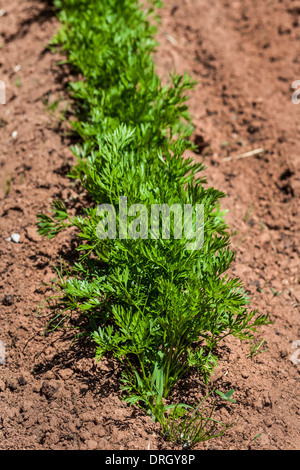 Young carrot plants in the home garden or on the farm. 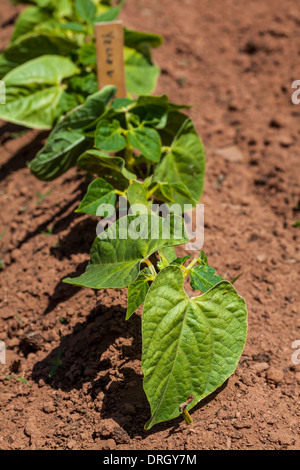 Young bean plants in the home vegetable garden or farm. 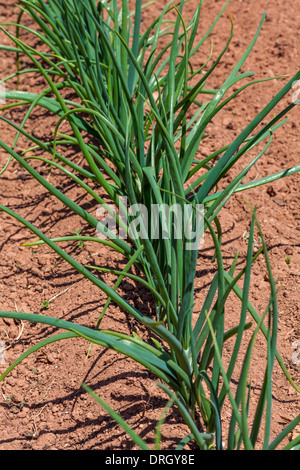 Healthy young onion plants in the home garden or on the farm.